How often are you limited in your ability to control a crane by the length of the pendant cord? 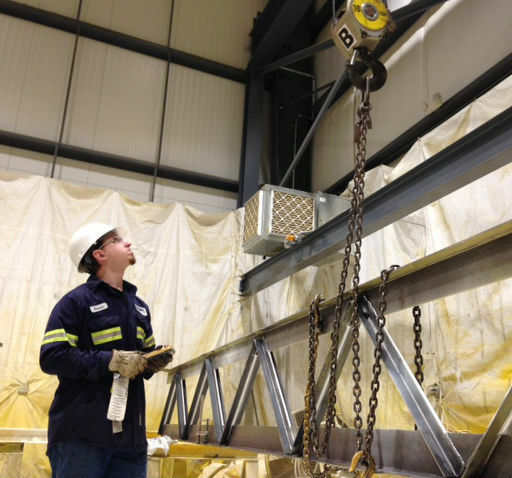 Radios provide a means of freeing up the operator from the crane to move to a safe location, or just get a better vantage point of the product they are lifting. Here at Simmers we represent an in depth line of radio controls that can be tailored to meet any control needs. We can also do things with radio control that are not practical with pendants such as tandem crane control by a single operator. Our transmitters are light weight and very ergonomic from an operators point of view. However, we understand there are applications that still call for belly box transmitters and we have those available as well. Most of our smaller transmitters can be powered with just a couple AA batteries. For more information on radio control and how it could be best used in your facility, please Contact Us.